Me and my then boyfriend now husband lived on a terrible mattress for a very long time. And it was always the talk of the day as we woke up with unsettling back pain or, as my man complaining about interrupted night sleep. Actually, sleep was a real issue when we lived in our old apartment. The city noises coming from our ground floor window (located next to the busy street) and the awful metallic canopy bed we had (read cheap. Bad construction and poor material that hardly sustained two people on it) made things worse. We knew we had to do something about it. After all, our quality of lives deeply depended on how well we slept at night. Then came the marriage and with it, a few months later, the moving to our new apartment. Problem one, the noisy street was instantly solved. The canopy bed hardly lasted some more months when it finally showed signs of breaking. Yes, it was finally time to get a new one! 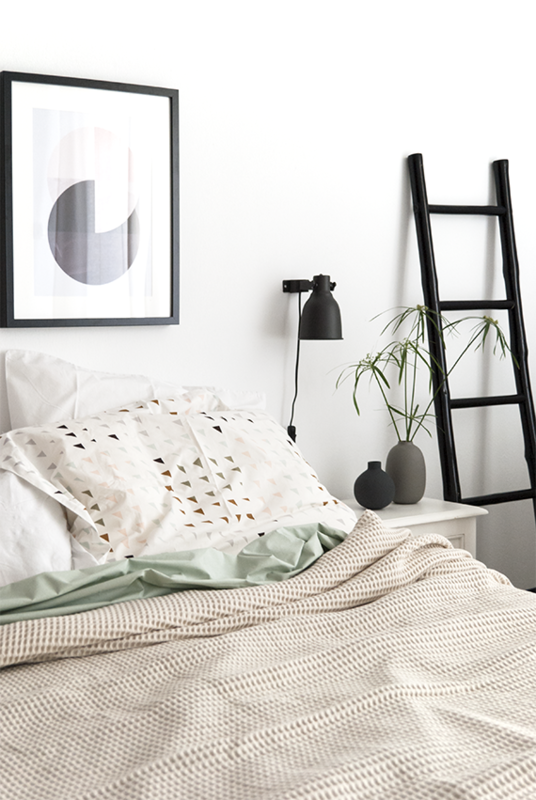 We now opted for the simplest of bed frames, no canopy not even a headboard included. But what we actually did was choosing the best option possible regarding the mattress we were going to sleep on from then on. I always knew where I was going to get my mattress from when the time would come. It must be from COCO-MAT. The reputation of this company is strong and positive and all the feedback I was receiving from friends and acquaintances that had bought a mattress from them was 100% in favor. I had even tried one once while staying at a hotel with COCO-MAT beds and I was ecstatic. One night of bliss that could possibly translate into countless nights sleeping on heaven. We visited the store to try all the available options and choose the best one for us. Going for a mattress with natural latex was our intention in the first place but we weren’t sure about the elasticity we wanted. I preferred a softer option whereas my husband a sturdy one. That was an issue at first (while we talked about it at home) but as we found out later at the store this was an easy fix. 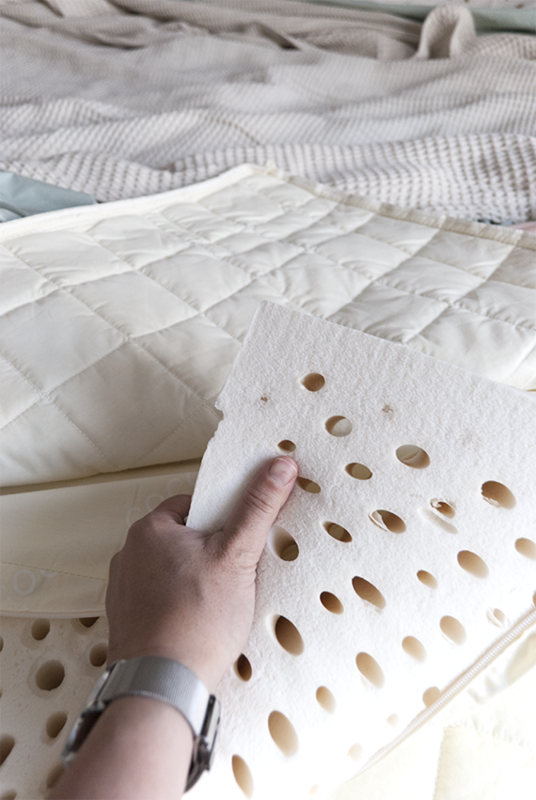 The king size mattress we chose consists of two separate ones wrapped together with a high-quality cotton quilted cover. Each of the pieces has a different amount of elasticity on every side (a firmer and a softer side) so that each person can choose the one they like on the side they sleep. Problem solved! The Atlas mattress, as well as the other mattresses from COCO-MAT, are made entirely from natural materials and are completely metal free. Apart from the natural latex and the coconut fiber, this mattress also has seaweed gathered from the Mediterranean sea that contains iodine and helps with the respiratory system while sleeping. Cool or what (literally speaking :D)? Then we completed the bedding system by adding a mattress topper. 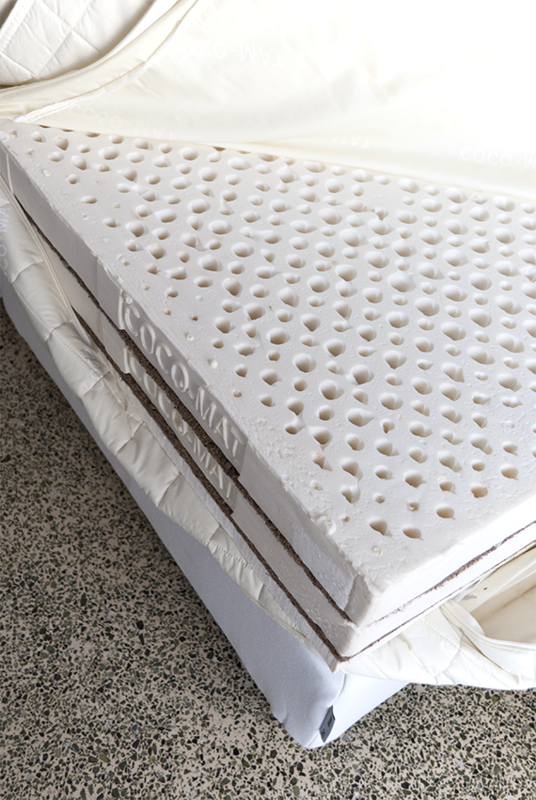 The Iviskos top mattress we picked is a single layer of natural latex with holes that allow flawless ventilation. The latex is protected by removable and easy to wash for ultimate hygiene double all cotton covers that complements the qualities of the mattress and holds (actually hugs) and supports the body during sleep. I have to be honest, I was a bit concerned about whether my husband would agree to have one as it softened down the whole elasticity a bit. I loved how it hug my body but I knew he would be negative on not having a firm surface to lay on. I finally managed to persuade him on buying it and as it turned out I was (of course ;) correct. The first night he did complain. He said that it was too soft for his needs. And that was that. The last complaint he ever made. He just needed one single night to get used to our new bedding system and a few more nights to declare himself the biggest fan of the COCO-MAT mattresses there is. We have now been sleeping on our new bed for about 3 months, first one of which I was very much pregnant. 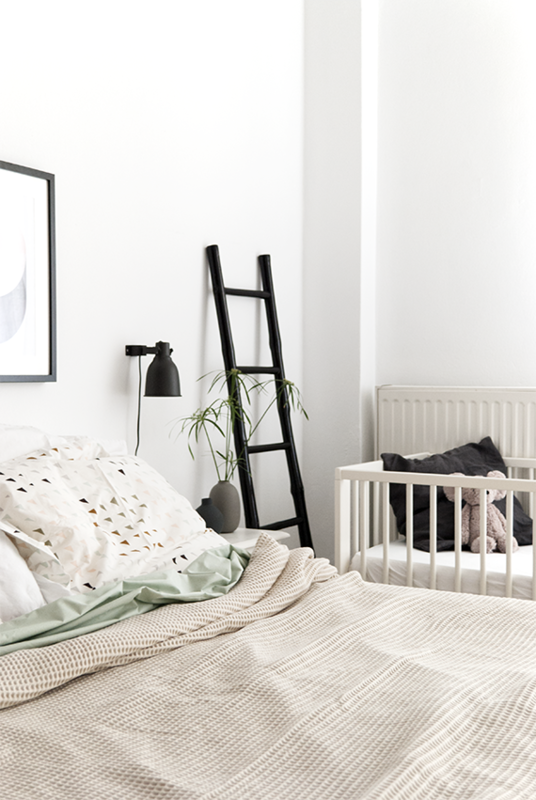 The mattress supported my 9 months belly incredibly well and now helps me sleep deeply and relaxingly as much as possible during the night feeds (ok, I have to admit sleeping on such a great mattress makes it even harder to get up at 3 am at my baby’s cries :D). Co-sleeping has also been increased quite a bit lately with my toddler boy asking why our bed is so much softer than his. No second thoughts on that, I’m going to switch to a COCO-MAT mattress for his bed as well soon. All natural is what my boys will get hands down. If you are looking for a mattress yourself then I can't recommend this company high enough! Visit their site for more information on how and where to find a perfect match for you. 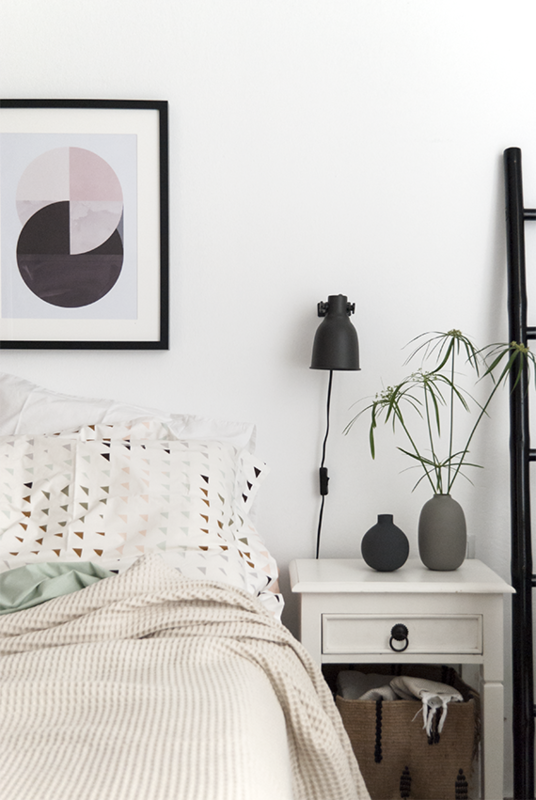 Also, in case you are wondering, the bedding in these photos is from the new COCO-MAT collection which will be soon in the stores and online. 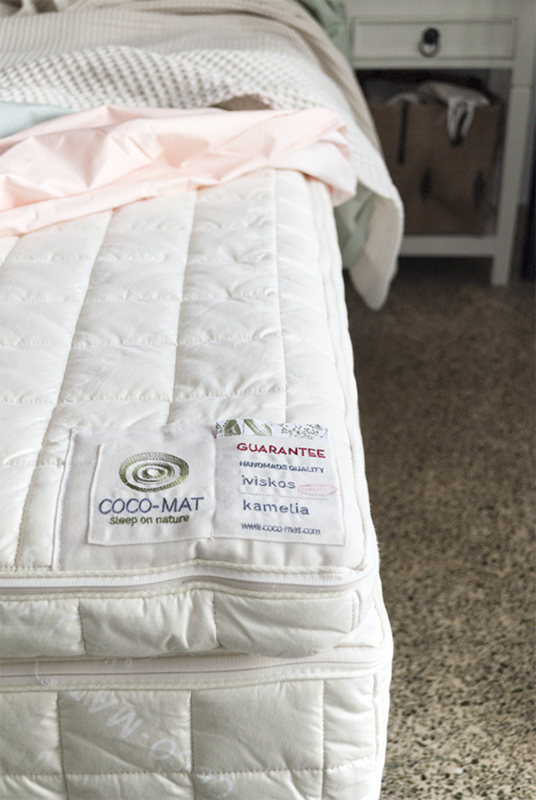 * The mattress and mattress topper were provided to me by COCO-MAT to test and review and share my honest opinion with you. Thank you for supporting the sponsors behind this blog.